My name is Nicole Filosemi, and I love Fall. Whatever. Just figured I’d get it out of the way. Fall, unlike dreaded Pittsburgh winters, is fleeting. My attempts to enjoy as many flavors of the season as possible brings me to Harris Grill on Ellsworth Avenue in Shadyside. If you’ve ever been here, you probably immediately think of Frozen Cosmopolitans, Lobster Mac and Cheese and Bacon Night. And although these items are top-notch and Harris Grill is one of my favorite spots during ANY season, they have a few menu selections that get me feeling especially festive. 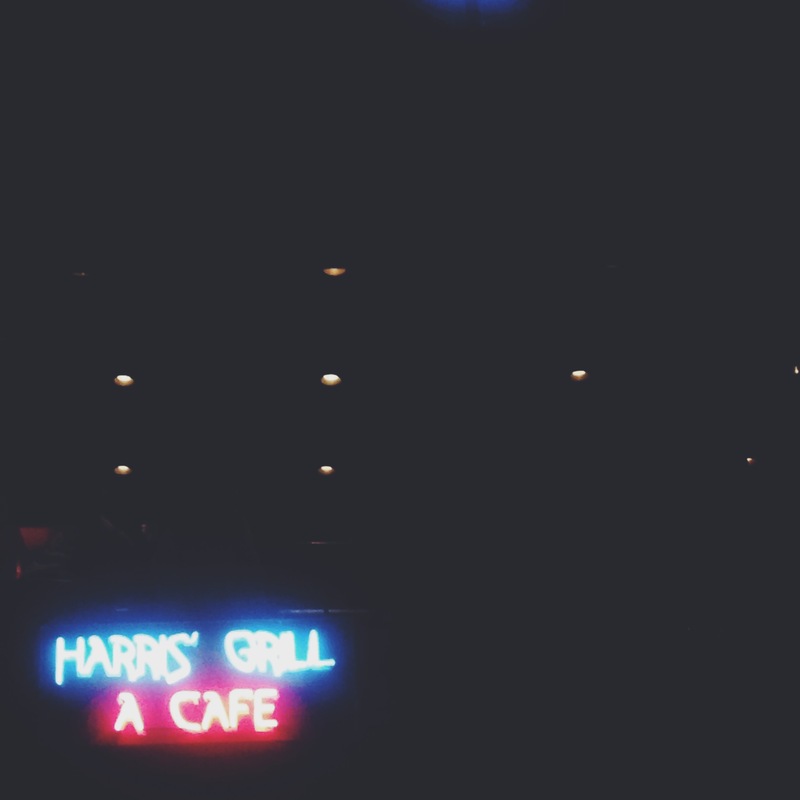 So, here is my review of Harris Grill, with a special spotlight on some delicious fall favs. 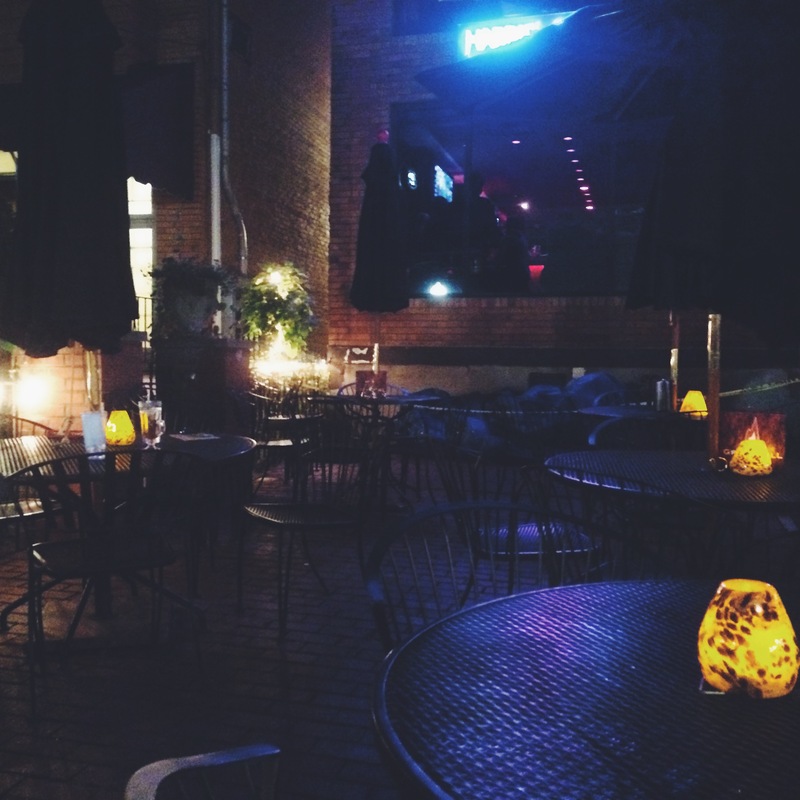 This past Friday night, Tim and I got home from work, dropped our bags, and basically ran to this casual neighborhood bar and restaurant to happily find a few tables available on their great front patio. (This place definitely gets crowded – lucky for us, the early bird gets the worm.) There is also a much more intimate, quiet back patio (sadly, it’s closed during fall/winter) that is my favorite outdoor dining spot in the city. We were led to our table by the wonderfully pleasant hostess, settled in, and were promptly greeted by our friendly waiter. I have to say, the service here cannot be beat. I will start with the drinks. In my opinion, this place is home to more than a few of the best (and strongest) cocktails in the city. 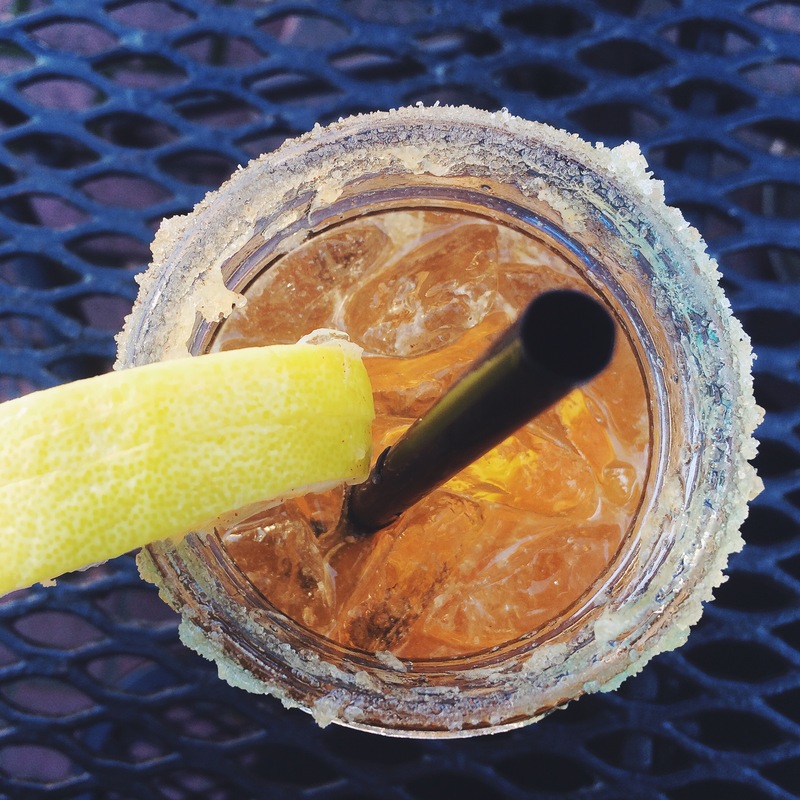 (The Porch Swing made with Gin and Ginger Beer is my #1 go-to.) 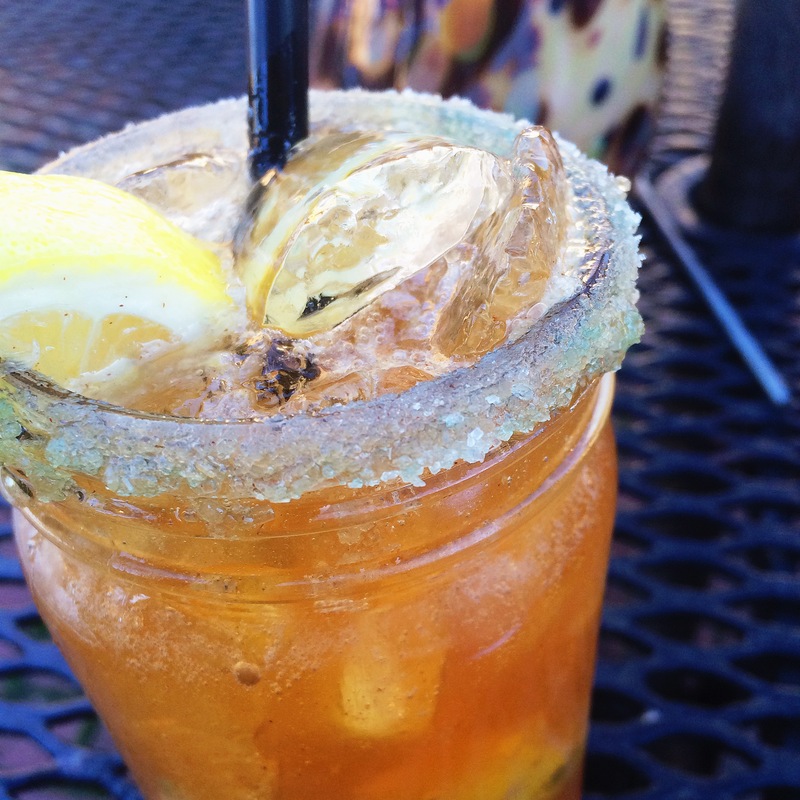 The menu is robust, and ranges from classics like Manhattans and Old Fashioneds, to their exciting Seasonal menu, which is where I found my newest fav.. the Hayride Under The Harvest Moon!!!!!! : Sauza 901 Tequila, Veev Liquor, Apple Cider, Local Ginger Beer, Wigle Pomander Orange Bitters, Muddled Cinnamon and Lemon… served with a Honey/Sugar rim. WHEW. If you’re anything like me, that long list of ingredients is a total red-flag. I like simple, non-sweet drinks, with a punch you can taste (and feel). But for some reason, this drink intrigued me… and with the first sip I was hooked. The tequila is strong, the ginger beer is spicy and lingering, and the sugar rim is the perfect sweet accent to the lemony/cidery pops of this life-changing cocktail. YES.. LIFE-CHANGING. If this interests you in the slightest, get there quick! It’s on their seasonal Fall menu and we’re running out of time! Before moving on to the food, I must note an important detail, opposite in size to it’s importance. After Tim’s first beer and trying a sip of my cocktail, he also could not resist ordering the Hayride. But, there was a small difference between mine and his. A difference so small, I have to bet that not many people would even notice. MY Hayride was delicately garnished by a lovely lemon wedge. Tim’s, however, was not. His lemon wedge was already in the drink. Although this is a detail I NEVER would have picked up on my own, Tim said that all of the cocktails he has ordered during past visits to Harris Grill have been sans-garnish. If this is an intentional step in the bar tending process, encouraging guys to order cocktails that may otherwise seem “girly”… we see you Harris Grill, and we applaud your impeccable attention to detail. Anyway, in addition to our first round of drinks, we also placed an order for their DE-LICIOUS Buffalo Chicken Dip ($9.45). This has nothing to do with fall; we just love it. 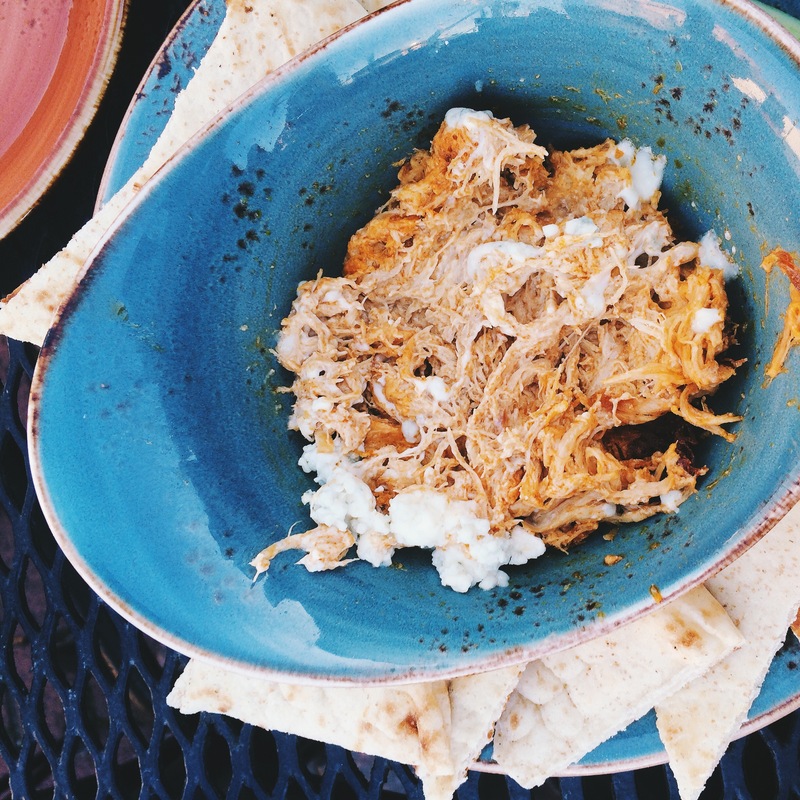 Unlike most chicken dips that are made primarily of cream cheese (ick) , this oven-baked treat has no unnecessary filler. I’m not even sure how they do it. 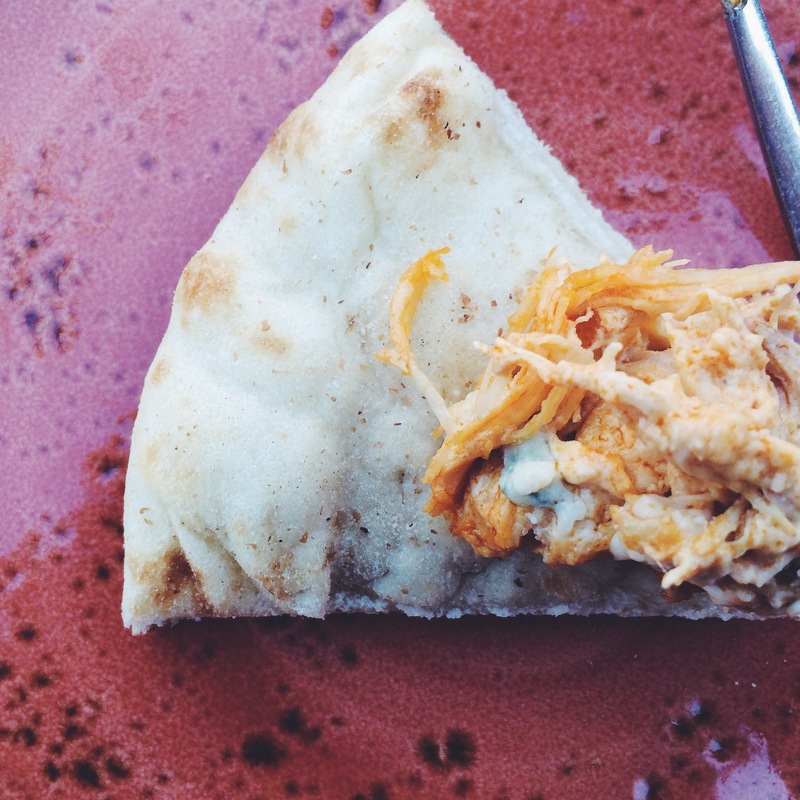 The pulled chicken is tender and delicious, packs a spicy punch, and is topped with Blue Cheese and served with warm, delicious, pillowy, crunchy-in-all-the-right-places, pita bread. On to my entree!! Now, although this item was available prior to the official start of Fall, it is my favorite dish to order this lovely time of year; behold: the Thanksgiving in Blawnox ($9.28): (exact description on menu) “Half a pound of ground turkey (not leftovers) with dried cranberries, sage stuffing, and a little rosemary aioli instead of giblet gravy. 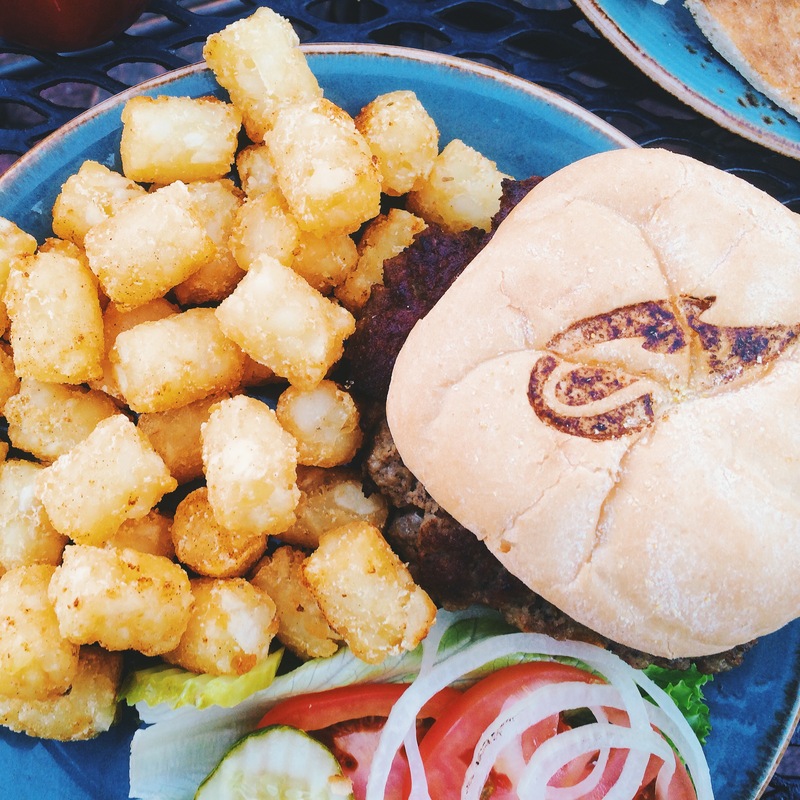 We recommend 7 hours of televised sports and a nap after this. Goin’ to Sears tomorrow with mom early.” …… What? Just trust me. This selection might bare a title only a true Pittsburgher would appreciate with a description that leaves much up to the imagination; it is truly unlike anything I’ve ever eaten. 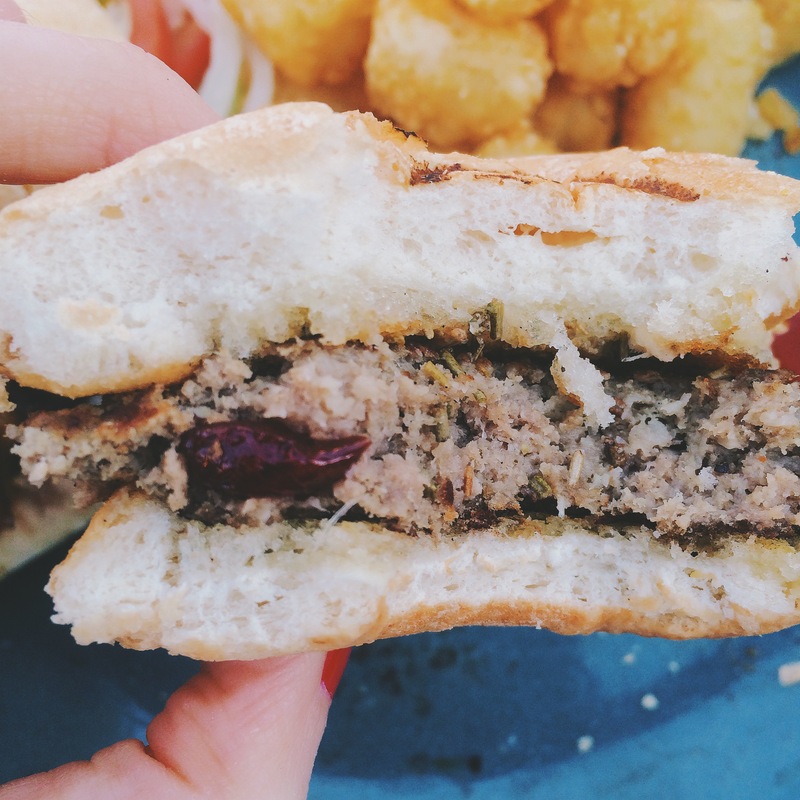 When this sandwich was first placed in front of me, I was like, what the heck is this bare, dry-looking patty?? I didn’t see any stuffing; I didn’t see any cranberries. I was confused and disappointed. THEN I TOOK A BITE. EVERYTHING IS INSIDE. IT IS A BLEND OF TURKEY AND CRANBERRIES AND STUFFING AND FALL MAGIC. The texture of the Thanksgiving in Blawnox is unbelievably hard to describe. 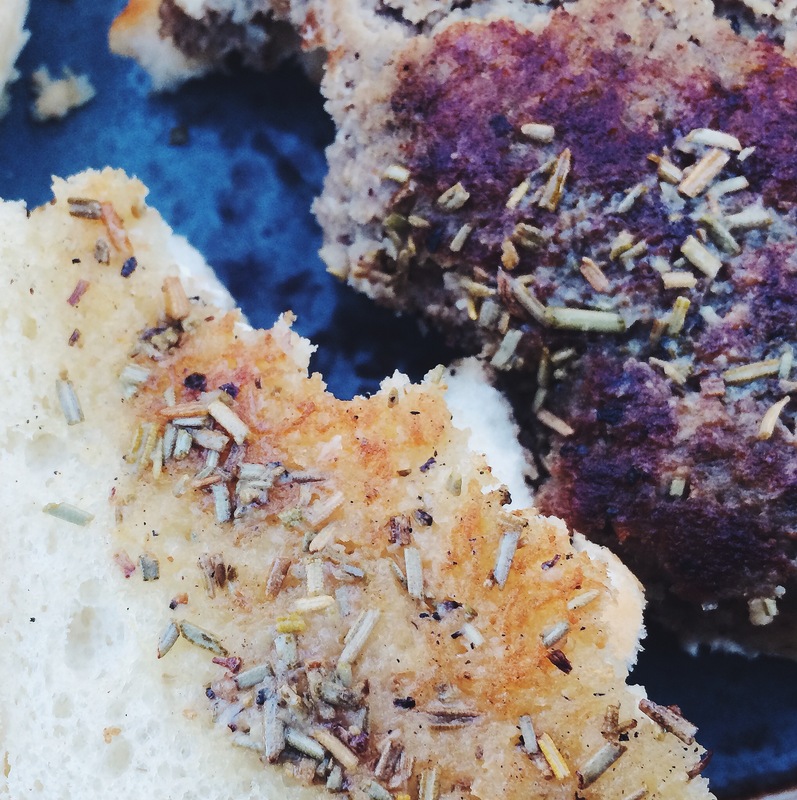 It’s tender and soft, almost like a meatloaf consistency, but more…. bready? 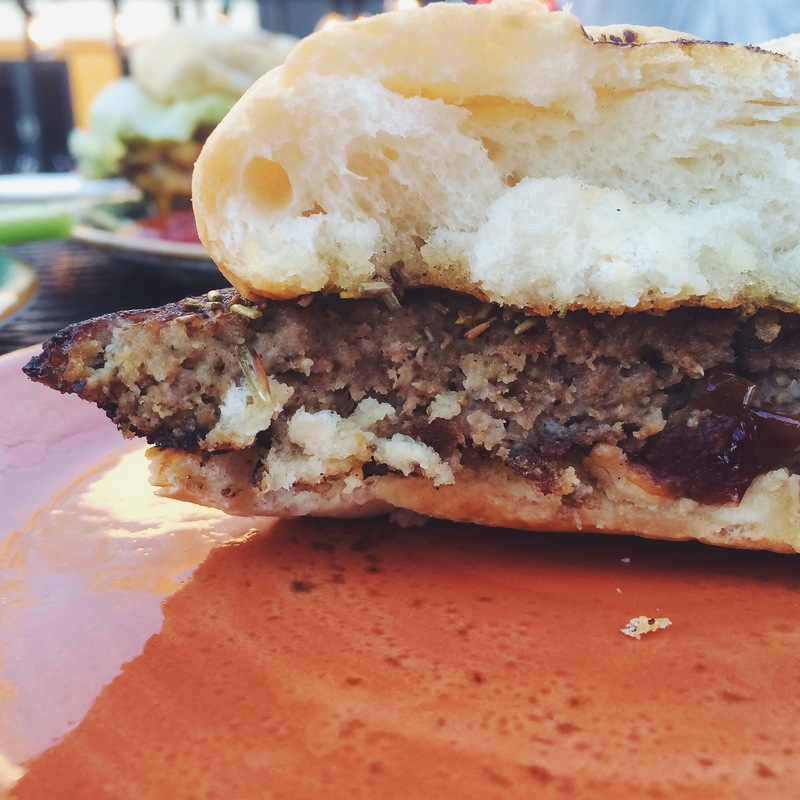 The patty blend is the absolute perfect ratio of turkey to stuffing. The cranberries are sweet and tender, and are the most delicious balance to the fragrant, earthy rosemary aioli. It’s so hearty and comforting; the perfect fall sandwich. Pair this baby with a side of your choice (although when these perfectly crisp Tots are an option I hardly call it a choice), and you’ve got yourself a delicious twist on a Thanksgiving dinner. In conclusion, I realize I’m not delivering any breaking news by sharing my review of Harris Grill, but I highly recommend this friendly, fun, neighborhood bar. It’s super casual, the vibe is great, the cocktails are strong, and the service is so awesome that you’ve always got a new drink in front of you before yours ever runs dry. No, Harris Grill does not take reservations, but they have an iPad check-in system that makes it easy to secure your place in line. The menu changes frequently. They even note on their online menu to call ahead to ensure item availability. Take their advice. It sure beats disappointment! Their beer menu/draft list offers something for everyone. Start with a seasonal cocktail, then make your way to your favorite beer selections. Tuesday is Bacon Night! That literally means all-you-can-eat baskets of BACON at the bar. This expansive menu is worth exploring. we recently discovered the “Hush Piggies” which are kind of like traditional Hush Puppies but not actually at all because they are filled with bacon and cheddar!!! Happy Hour is Monday-Friday from 4:30-6:30, and specials consist of Half Priced Apps, Half Priced Frozen Cosmos, and Daily Draft Specials. You can’t beat it! So go hang out and check out my seasonal favs, or basically anything. This place is great.